Dear Future DDO Grooming Employee, Do you have what it takes to pamper pooches? Dog's Day Out Grooming is always accepting applications for new talent. If you are interested and have what it takes to make an impact in a career working with dogs, you may be a good fit. Feel free to email careers@dogsdayoutgrooming.com with your attached resume or any questions that you may have. Check below to find out more about the positions at Dog's Day Out Grooming! Dog's Day Out Grooming is always looking for award winning groomers! Do you have what it takes? We looking for self motivated groomers that are capable of grooming between 5-8 dogs a day depending on the needs of the business. 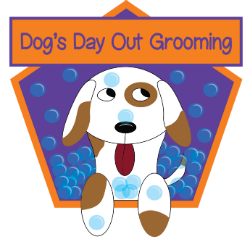 Groomers at Dog's Day Out Grooming are responsible and able to use their own Dog Grooming equipment and tools. But Dog's Day Out Grooming supplies shampoo, conditioner, dental supplies, table, tubs and towels. Our Groomers are team players who also share the responsibility to run, keep a well stocked and clean shop. Awesome customer focus is a must! Yes, Awesome customer focus is still a must! Do you love Dog's? Are you interested in starting a new career working with Man's best friend? Bathing Dog's at Dog's Day Out would be an excellent start! Dog's Day Out Grooming is looking for self motivated individuals who love to work with Dog's and are interested in pursuing a career in Dog Grooming. You will be responsible for client services, checking in, bathing, and drying Dog's. You will also help fill bottles, wash towels, fold towels and general shop cleanliness. Dog's Day Out will provide shampoo, conditioner, dental supplies, tubs and towels. All you need is you, your winning personality and self motivation to get you started! Our bathers are team players who share the responsibility to run, keep a well stocked and clean shop.